We’ve all seen the incredible and horrifying pictures of the devastation from the Camp and Woolsey fires in California over the recent weeks. Whole towns demolished. Property damage estimates are expected to exceed $19 billion for homes and businesses. The amount of uninsured or underinsured losses has not yet been calculated, but it is sure to be some portion of that amount. How could those home and business owners have better protected themselves with insurance? How could you better protect your home and business? 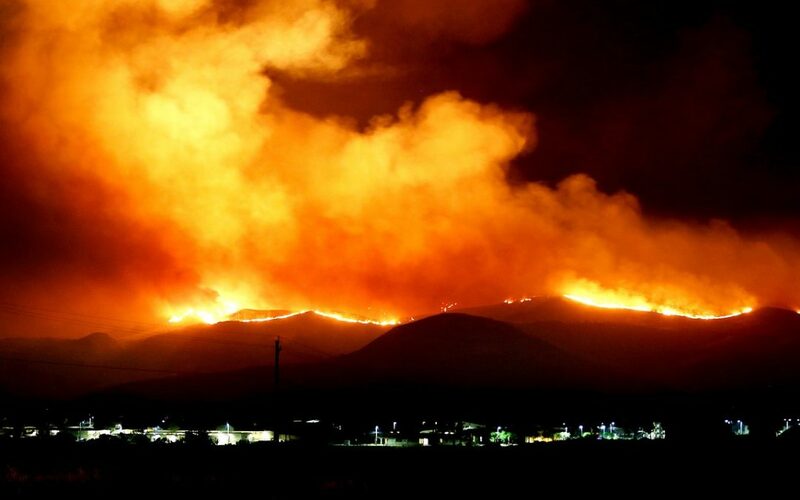 If there is a fire bearing down on your area at this time, you cannot purchase new coverage or make changes to any of your property or auto insurance policies. Insurance companies will put moratoriums on binding new policies or making changes to existing policies in the face of imminent threat of property damage. Call your broker after the threat has passed to discuss purchasing new coverage or making changes to existing coverage. How much is your property worth? It’s an interesting question that has more than one answer. There is, of course, sentimental value. Unfortunately, that cannot be insured. Then there is market value, which fluctuates over time. Your expensive home or business can increase in value in times of economic upturn, but can decrease in times of peril, such as an oncoming fire. While this is a good starting point for insuring a home it does not accurately reflect how much coverage you may need in the event of a covered cause of loss. Replacement cost value is what property insurance policies are based on. Depending on your location, the replacement cost of your personal or commercial building may be more or less than the market value of the property. If your home is the only one that burns down, the replacement cost value of the home will reflect current market conditions and availability of materials and laborers. In areas of widespread devastation the cost to replace a building will increase due to supply and demand. There are two people to talk to about the insurable value of your home or business: your mortgage broker and your insurance broker. Your mortgage may require an amount of insurance that allows for repayment of your mortgage in the event of a total loss. If you are well into your mortgage this amount will not allow for rebuilding of the structure in the event of a catastrophic loss. Your insurance broker will have replacement cost calculators available to help you determine how much coverage you will actually need. What About Contents and Furnishings? Homeowners policies will include a limit of contents coverage that is either selected by the homeowner or is a percentage of the value of the home. Commercial building property policies will typically only include contents coverage if it is requested by the building owner. Take a look at your policy. Are these limits sufficient to replace all of the items in your home or business in the event of fire? How should you calculate the amount of coverage necessary? This is a bit more complicated than calculating building coverage, since amount of contents fluctuate over time. You should think about the amount paid for furnishings, office equipment, clothing, personal effects, dishes, appliances and more. Anything that you would require in order to get back up and running should be included in this total. There are some particular caveats for homeowners. Most homeowners insurance policies include small sublimits for jewelry and furs, firearms, collectibles, fine arts and computer/electronic equipment. You should review these sublimits with your broker and schedule any items that exceed the sublimits provided by the policy. When Should You Review Your Coverage? You should, at a minimum, review your coverage annually with your insurance broker. This review typically happens at renewal. The second best time to review that coverage is RIGHT NOW. Pull out your policies, review them and then call your broker to determine if the coverage you have is the best possible protection for your home or business. The worst time to review your coverage is after a disaster happens. Don’t let this be you. Call today!